All rooms offer free WiFi, a flat screen TV with expanded cable and HBO. Select rooms include microwave & refrigerator & in-room coffee. Enjoy free coffee & tea in the lobby at the 100% Non-Smoking Red Roof Shelbyville. Book now! The 100% Non-Smoking Red Roof Inn Shelbyville offers guestrooms that all include free WiFi, flat screen TV, and hairdryer. Select rooms also include microwave & refrigerator, and in-room coffee. One pet per room is welcome. Book now! Shelbyville is home to shopping and great antiquing (visit historic Downtown! ), Saddlebred horse farm tours (free!) as well as an award-winning community theatre, family-friendly farms with alpacas, hayrides and several wineries. Stay with us! Visit the Clear Creek Park & the Family Activity Center (5 mi); fishing, boating, camping, hiking at Guist Creek Marina (8 mi. ), all this & biking or horseback riding at Red Orchard Park (2.5 mi) & Taylorsville Lake State Park (19 mi.)! Book now! Make sure to check out the Outlet Shoppes of Bluegrass mall, as well as the Shelby County Flea Market for some great finds! Both just 5.4 miles away. For a list of all the shopping locations in Shelbyville, click here. Book now! Just over a mile away, you will find Firefresh BBQ, Cattleman’s Roadhouse, Hometown Pizza, Tumbleweed, Claudia Sander’s Dinner House (inspired by Colonel Sanders of KFC). For a full list of dining options, click here! Book now! Start your Genealogy research here in Shelbyville at the Shelby County Library. Make your way to Frankfort, KY (25 miles) to visit the Kentucky Genealogical Society. Be sure to head back to Shelbyville for a comfortable stay. Book now! Visit Shelby County Fairgrounds (2.3 mi), home of farmers' markets, trade-shows, equestrian events and much more! Book now. 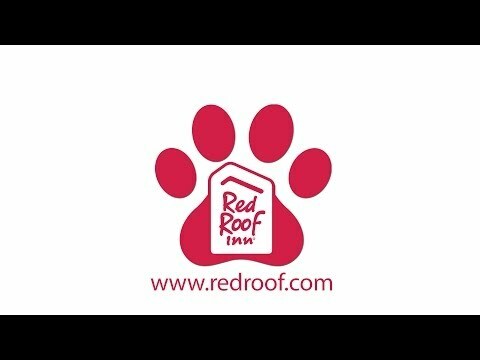 At Red Roof Inn Shelbyville, "You Stay Happy, Pets Stay Free!" Don't lose sleep at night worrying about your four-legged loved one. Enjoy your stay at our pet friendly hotel near Shelbyville, KY. Book now! 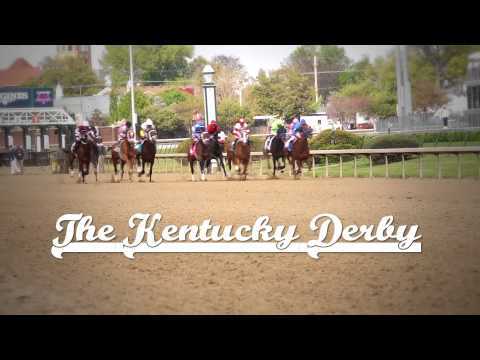 This video by the Frankfort Chamber of Commerce takes you through Frankfort, Kentucky's capital city, located along the Kentucky River in the heart of bourbon, horse and wine country. Visit Frankfort, just 25 miles from our hotel in Shelbyville. Stay with us. Louisville is a great place to visit filled with tons of attractions and exciting things to do, see, taste and try. Learn more. Book now! Enjoy our free coffee & tea available in the lobby. Free WiFi in all common areas. Just a few miles from Regal Cinemas and Claudia Sander’s Dinner House, the hotel has many shopping and dining opportunities. Parking is available for semi-trucks and RVs! Stay with us! At our hotel in Shelbyville, KY, you stay happy, your pet stays free. Bring Fluffy with you! And book your stay now. Talon Winery has two locations, Tasting Rooms in Lexington, KY, and right here in Shelbyville, just 1 mile away from our hotel! Smith-Berry Winery also offers tastings, and is located about 20 miles from us. Grab a cab back to us--book now! Churchill Downs is the home of the Kentucky Derby, the Kentucky Oaks and other special events all year round. Come enjoy some thoroughbred horse racing in the Spring, September and Fall. Located 31.9 miles away. Book now. Catch a live show at the KFC Yum! Center just 28.2 miles away. Book your stay now! Downtown Louisville, 28.6 miles away, has spas, galleries, boutiques, great restaurants from barbeque to fine dining, nightclubs, great entertainment, casinos and more. Make sure to check out museums like The Kentucky Museum of Art and Craft, or The Muhammad Ali Center. For performance venues, check out Fourth Street Live! or Actors Theatre of Louisville. Book now! The Kentucky Exposition Center (29.4 miles) hosts exhibitions, conventions, trade shows, public gatherings, markets, concerts, festivals, cultural activities and more. The Expo Center hosts great events throughout the year. Book Now! Football, Live Music and More! Papa Johns Cardinal Stadium is home to the Louisville Cardinal's football team and live events all year round! Check out the Cardinal's football schedule here. 30 miles away. Book your stay now. The Whitney M. Young, Jr. Job Corps Center is just 8 miles from us. Visit a family member or a friend, explore the campus or catch a sporting event at Kentucky State University, 26.7 miles away, or University of Louisville, 30 miles away. Have a comfortable stay at a comfortable price - stay at our hotel in Shelbyville, KY. Book now! Weissinger Hills Golf Course, 4.1 miles away, is a beautiful 18 hole golf course. Also visit Shelbyville Country Club (3.8 miles) or Valhalla Golf Course, a PGA Course in Louisville (13 miles away). Book now! Be sure to visit the local Shelby County Chamber of Commerce page, as well as the Shelbyville Tourism site, for plenty of ideas and attractions! And don't forget--book your stay with us! Catch one of the newest film releases at Regal Cinemas Shelbyville 8, just 1.4 miles away from our location. Book now! “We just spent the first night of a three-week trip here. The room was comfortable and the staff helpful. The man at the desk was able to direct us to Walgreen's to pick up some necessities and to several places to eat.” Book now! Jewish Hospital Shelbyville, 2.5 miles away, is dedicated to providing their patients with the highest quality of care. Book now!